With decluttering the hot topic; Marie Kondo’s advising us to ask our stuff “does it spark joy” if not throw it out. RESPONSIBLE disposal and consumption is critical to slow down if not stop this throw away mindset, and start by taking responsibility for unwanted stuff. 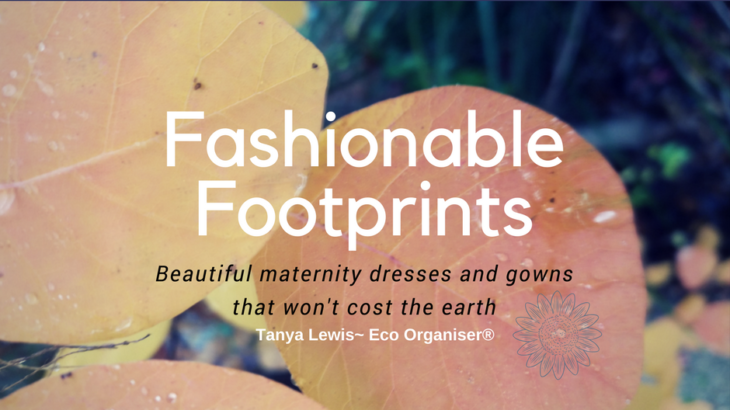 Having our shoes and handbags organised can make a world of difference. Shoes and handbags are something some of us take for granted, for others owning a pair of shoes is something they dream about. 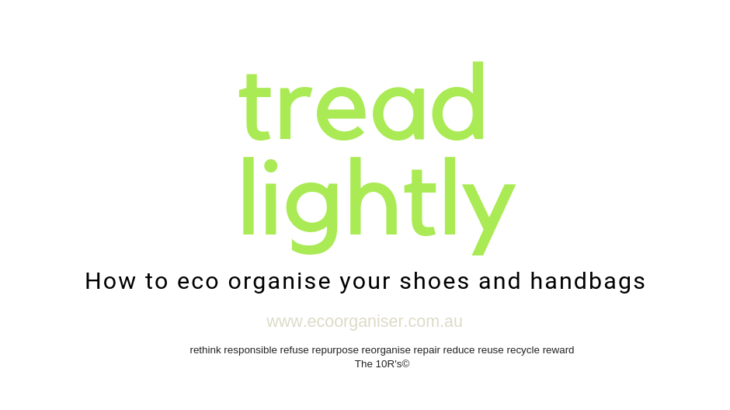 Shoes are there to protect our feet, make us feel good, get us to work, school or on the running track, but have you ever thought about the environmental impact they have on the planet? Results from a pilot project CO2Shoes revealed that the phase which most contributes to the shoe’s carbon footprint is the manufacture of footwear components with a share of 58%, followed by packaging manufacture with 16%, assembling and finishing with 11%, end of life with 9%, and finally, the distribution of footwear to consumers with 6%. 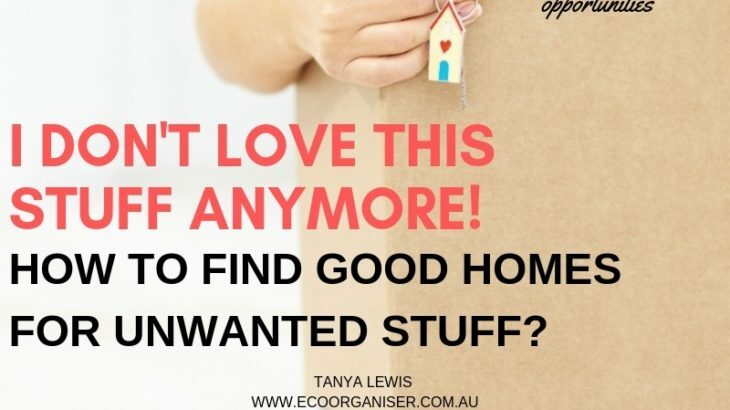 $6623 is the total financial value of clutter respondents from a recent study, estimated is cluttering homes, this translates to $59 361 949 000 worth of clutter Australia wide. What would you do with an extra $6623? 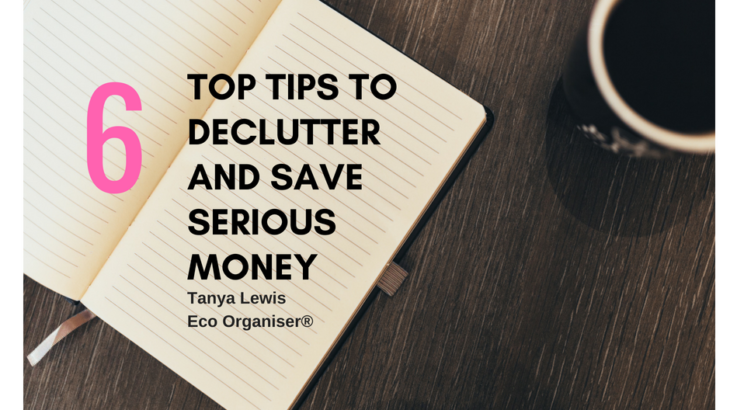 When we know what we have we are less likely to buy more of the same, thus saving money and reducing clutter. 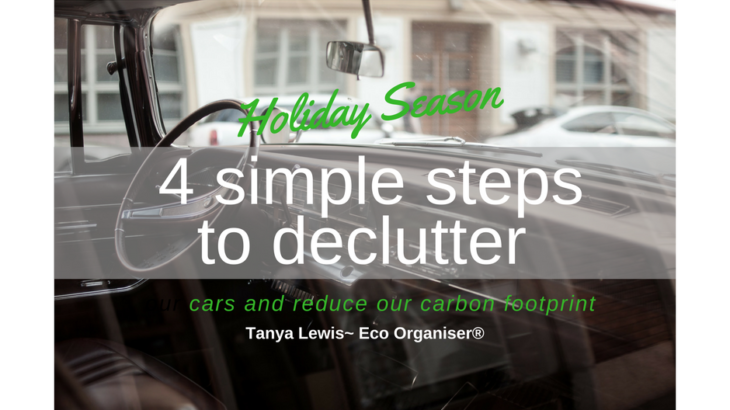 Sorting, organising and decluttering works like a stocktake it highlights what we have, need and use. 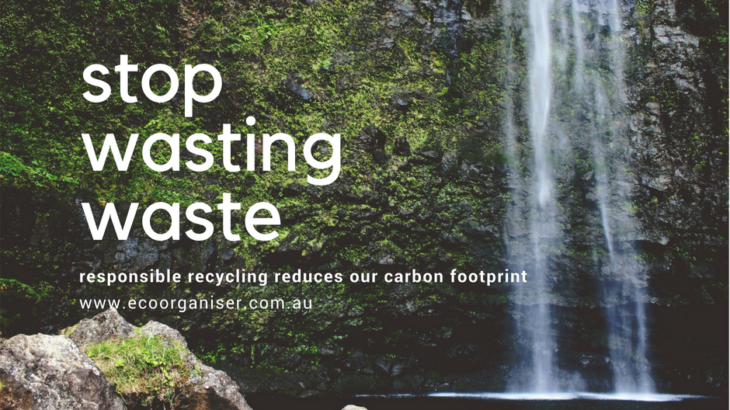 Our waste should no longer be considered rubbish or trash to be throw into landfill. A great number of nations including the USA, UK and Australia cannot keep up with volume of their waste, so what do you do; we ship to places like China and 3rd world countries to deal with our problem. On a recent research trip to the UK I heard lots of talk around reduce, reuse and recycling. One major supermarket; Iceland is vowing to eliminate plastic on all own-branded products and Prime Minster Theresa May pledging to eliminate all avoidable plastic waste within 25 years as part of the government’s environmental strategy. With holiday season only days away, does your STUFF does not need a holiday or you? In our western society most people aspire to own and drive a car. The freedom of the open road, adventure, holidays, excitement…it sounds great. For most the reality is this comes only a few times a year. Clutter has a way of affecting relationship and how to let others know how it is affecting you can be a little tricky. 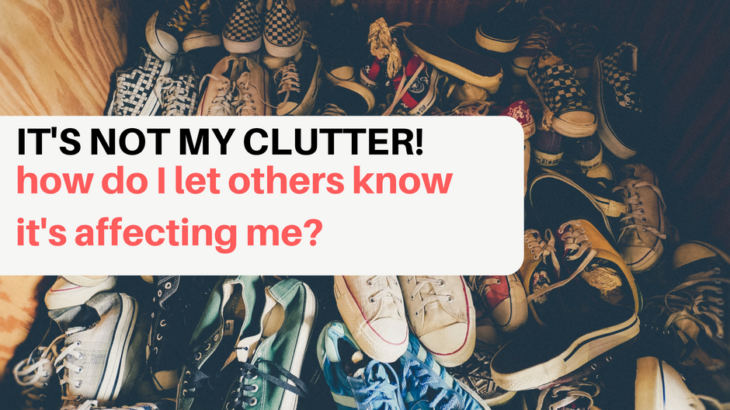 Sit down with a cuppa and talk about how the clutter is affecting you. 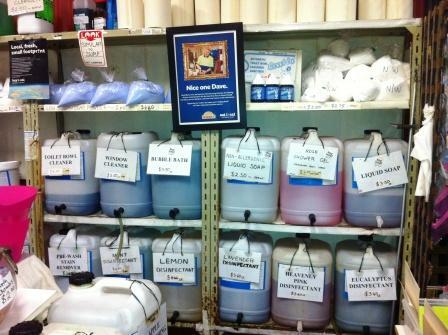 Do you struggle to find ways to reduce the plastics in your home? 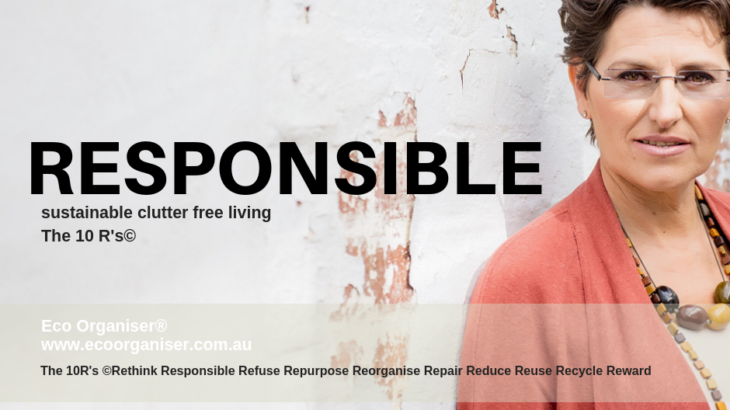 You are not alone, here’s something we have been doing for years because, refilling and reusing containers reduces clutter around the house and the amount of waste we produce.